An increasing number of iPhone users are reporting an issue with iPhone 6 and iPhone 6 Plus phones freezing up and becoming unresponsive to touch. The issue even has a deadly sounding name: "Touch disease." The so-called "Touch Disease" affects a large number of Apple iPhone 6 and Apple iPhone 6 Plus models, and users can easily identify it. The most common symptoms are a flickering gray bar going across the screen's width (usually at the top) and the screen becomes unresponsive to input. During the summer, Apple was called to court by a class-action lawsuit, as the main plaintiff claimed that the affected iPhone models have a design flaw that is behind the aforementioned issues. 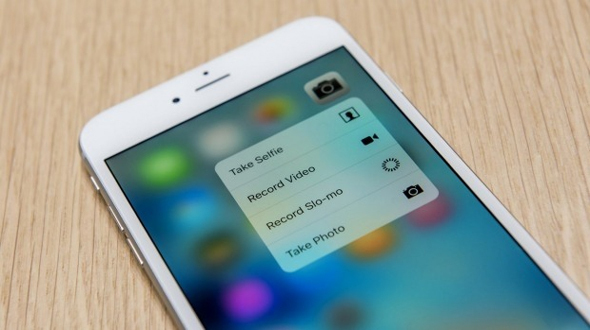 By far, the most commonly affected model is the iPhone 6 Plus that first went on sale in 2014. One of the most common theories behind "touch disease" is that certain contacts inside the phone are bending, which leads to them breaking. The theory goes, the iPhone 6 Plus had the most complaints about bent phones, so it's the one that's having the most issues with touch disease. The issue has been reported in the iPhone 6, iPhone 6S, and iPhone 6S Plus as well, but at lower rates. What has Apple said about the problem? Apple has not publicly commented on the issue at all, although former Apple employees have said that the company appears to be aware based on internal recommendations for repairs. Business Insider has contacted Apple for comment three times about this issue but has not received a response. If you're out of warranty, Apple will quote you a $329 replacement cost. However, Motherboard talked to some current and former Apple Store technicians and reports that if your iPhone is only slightly out of warranty, then you might get a less expensive replacement cost - perhaps $100 - especially since Geniuses know it's not necessarily your fault. You could also go to a third-party repair shop and save some money, but be careful, because it's a very difficult repair. Having a repair done independently also means that an Apple Store won't even look at your phone for repairs going forward.